Karen McCollum, CPA PC is an accounting firm offering tax services to individuals and small businesses. They also provide accounting, payroll, and bookkeeping services for businesses of all sizes. 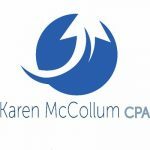 Work For Karen McCollum, CPA PC? Claim This Page.